Did you know that our body produces its own marijuana-like compound to protect us against anxiety? A study led by Ottawa researchers published today in Neuron reveals a new biological pathway that regulates anxiety and obesity and suggests that a drug currently in clinical trials to treat obesity might also provide a promising way to combat anxiety disorders. 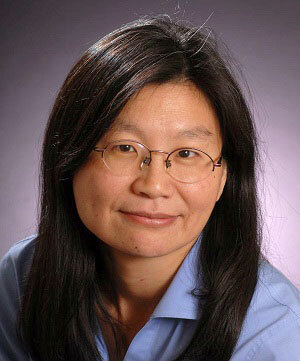 Chen and her colleagues were originally studying the effect of a gene called LMO4 on brain development and regeneration when they noticed that mice that lacked this gene in a certain part of the brain displayed anxious behaviour and became obese. Their new research, together with a previous study, shows that an enzyme called PTP1B plays a crucial role in a molecular pathway that links LMO4, anxiety, obesity and the body’s natural marijuana (endocannabinoid) system. When the researchers used a drug, trodusquemine, that specifically inhibits the activity of PTP1B, they found that both anxiety and obesity were reduced. “Current treatments for anxiety disorders have addiction issues and other side effects. Our approach lets the brain fix itself by simply re-instating the appropriate level of PTP1B,” said Chen, who is also a member of the University of Ottawa Brain and Mind Research Institute. Trodusquemine is in clinical trials for its effects on appetite control and weight loss, and also for its potential effect on breast cancer. Previous studies have found that people with metabolic and obesity-related diseases often suffer from mood or anxiety disorders. Knowing that a biological link exists between obesity and anxiety, it may be possible to treat the disorders in tandem. “It is our hope that we can quickly start clinical trials to determine if this novel drug may be able to treat obesity and anxiety at the same time," added Chen, whose work on LMO4 has also linked it to diabetes. The study was funded by the Canadian Institutes of Health Research, the Natural Sciences and Engineering Research Council of Canada, the Canadian Diabetes Association, the Heart and Stroke Foundation of Canada (HSFC), the HSF Canadian Partnership for Stroke Recovery, the Heart and Stroke Foundation of Ontario, the Canada Research Chair Program and The Ottawa Hospital Foundation. Full reference: “Chronic Stress Induces Anxiety via an Amygdalar Intracellular Cascade that Impairs Endocannabinoid Signaling” Neuron. Zhaohong Qin, Xun Zhou, Nihar R. Pandey, Haley A. Vecchiarelli, Chloe A. Stewart, Xia Zhang, Diane C. Lagace, Jean Michel Brunel, Jean-Claude Béïque, Alexandre F.R. Stewart, Matthew N. Hill, and Hsiao-Huei Chen.